At yesterday’s proceedings in the Upper and Lower Chambers of the National Assembly, the bill scaled through the second reading. Saraki said that “all things being equal”, the bill could pass third reading that day. He said: “We shall be here on April 2 to receive the report of the Appropriation Committee on this budget, consider, and possibly pass it for the third reading. “In keeping to the date, chairmen of the various standing committees should ensure that they tidy up their budget defence sessions with heads of Ministries, Departments and Agencies (MDAs) under their purview within the next two weeks. 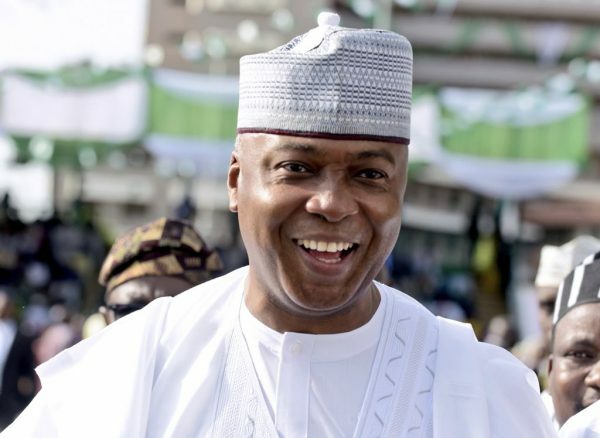 “The best way out of the situation at hand as far as the passage of the 2019 budget is concerned, is for the various committees to push to the Appropriation Committee, the budget proposals of any MDA whose management refuses to appear, as originally proposed by the president,” Saraki said. Before his directives, nine senators during the continuation of the Senate debate on the general principles of the budget, which commenced on Wednesday last week, called for caution on the part of the Executive arm of government on the country’s rising debt profile. He said: “We commend the Senate for passing the minimum wage bill of N30,000 but the battle for the minimum wage is not yet over; workers will not rest until the bill is signed and implemented. “We want the federal government to ensure its implementation before the May Day celebration, which is the Workers’ Day. The government should greet workers with the commencement of the implementation,” Yasin said. “We have been fighting for this N30,000 for a long time and the governors have been opposed to it. But now, it has been passed. Nigerian workers are now looking forward to the signing of the bill into law by the president,” Yasin said. Udom said: “Once we announce the minimum wage, we will enter into negotiations with those who are above the minimum wage. “This is to ensure that the whole government apparatus is not just to pay salaries. It is important we are able to pay the minimum wage and still have enough resources to execute infrastructure, health, agriculture and other programmes,” he said. “As a result of the agitations from the unions, the president set up a tripartite committee on the minimum wage. It is expected that every five years a review is done. “We know that the N18,000 is too low and it will be difficult to manage and the president supported the review. It is, however, important that as we are reviewing it, we make sure that we can fund it. “That is why we set up a committee. So, we will be coming to you as there may be some changes to make sure we can fund the minimum wage,” he said.